Earlier this month I went to Dublin for a long weekend to explore the city. I thought i'd share some of my favourite places to eat as that was definitely one of the things we loved the most! We wanted to make the most of the food there so we set a rule of no chain restaurants and read lots of reviews on the best places to eat in Dublin. The Rolling Donut - it's hard to miss the rows of donuts that line the window of The Rolling Donut and we loved them so much we managed to get some through airport security and bring them home! The Molly Malone (apple and cinnamon), Coffee Lover and Baileys Bliss were our favourites although i'm sure all the others taste just as good! 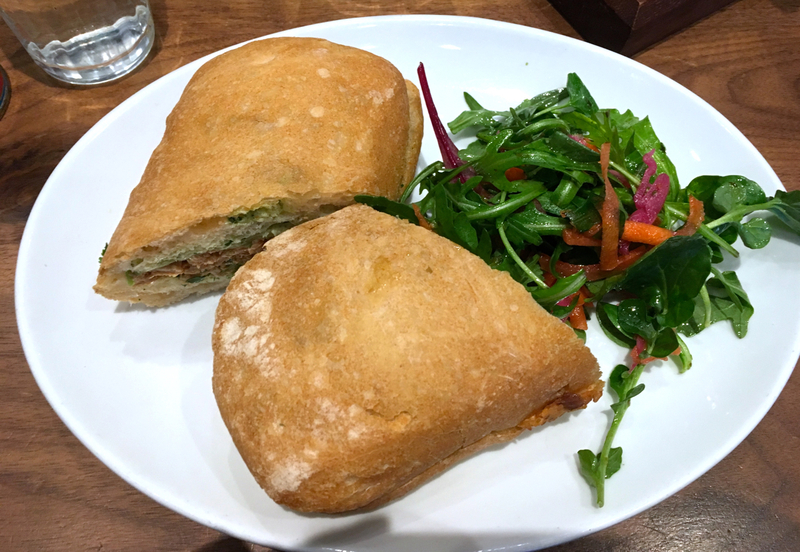 Brother Hubbard - after reading so many good reviews we went to Brother Hubbard for lunch with high expectations. The menu is unlike anything i've ever seen before but there's something for everyone. I opted for the harissa pulled chicken ciabatta (herby zhoug, cucumber, crème fraiche) - the flavours were really unique and I would definitely go back and try the rest of the menu if I could! I'm also planning to buy their cookbook (it was too heavy to bring back on the plane!) as i'd love to re-create what I ate at home! Luigi Malone's - the only place where we hadn't decided in advance, we went to Luigi Malone's on a Saturday night for nachos, pizza and fajitas. The restaurant is in Temple Bar so it was quite busy but we managed to get a table without booking. There's lots to choose from on the menu - the nachos were really good and not like your average Doritos with melted cheese on top! I chose a Strawberry Fields to drink which i'd definitely recommend - Luigi Malone's is a good choice if you're looking for a restaurant with something for everyone in Dublin. 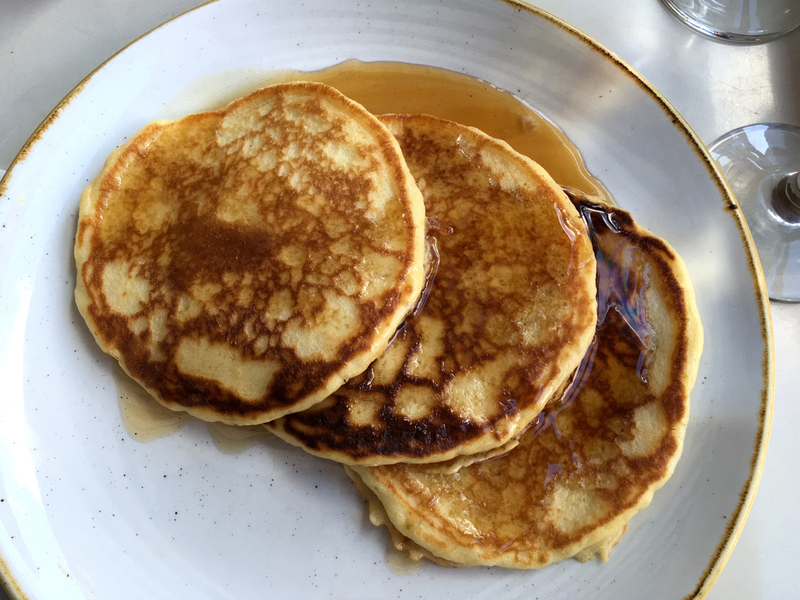 Taste Cafe is a lovely little cafe tucked away at the end of a street not too far from St Stephen's Green and it's an ideal option for breakfast before exploring the nearby shops. I chose the pancakes which come with a choice of toppings (I opted for maple syrup) and James chose the eggs benedict with smoked salmon. Taste is quite popular but we managed to get a seat outside which was great and is definitely an ideal breakfast spot if you're in Dublin this summer. Catch 22 - a great fish restaurant with unique decor, Catch 22 is an ideal choice if you want some seafood and it was one of the best restaurants in Dublin that we visited. We started with Calamari which was some of the best we've ever had - perfectly cooked and plenty to share between the two of us. 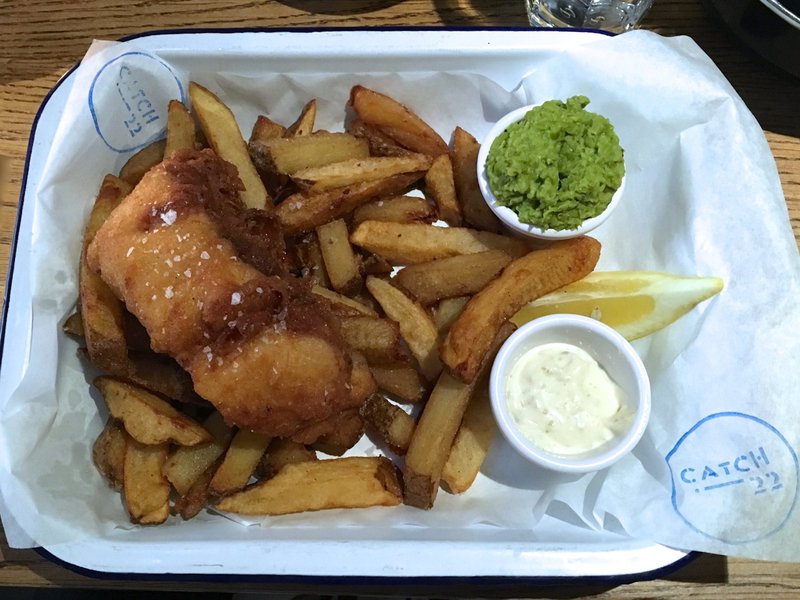 For my main course I opted for fish and chips - although I found them a bit salty the fish was really fresh and there were plenty of chips. Gallagher's Boxty House is a popular choice and well rated on TripAdvisor. For our final meal I decided to try something that was typically Irish so I opted for poached eggs on a Boxty pancake. 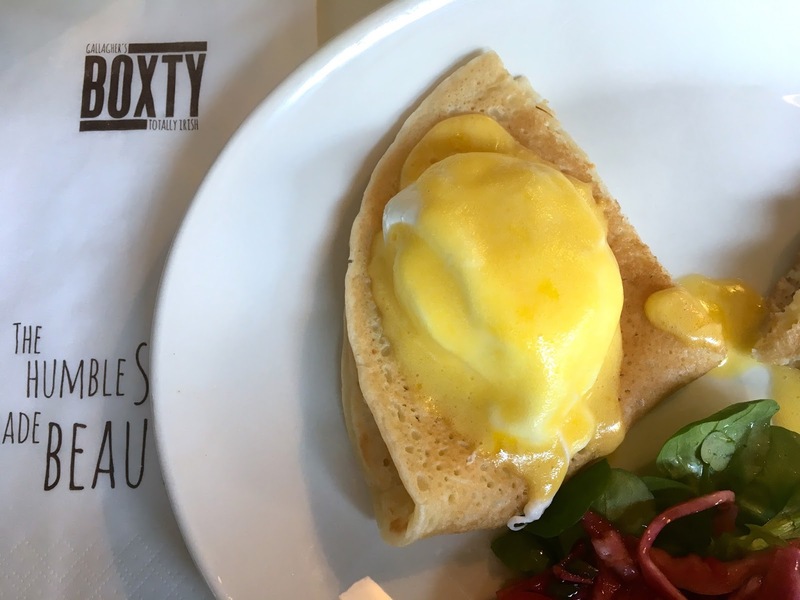 If you're eating out in Dublin, Boxty House is a great choice for some traditional Irish food and this was without a doubt one of my favourite meals, it was really simple but tasted great. In my next post i'll be sharing some of the places that we visited and a few ideas for things to do in Dublin so look out for that soon if you're planning a city break or weekend away! 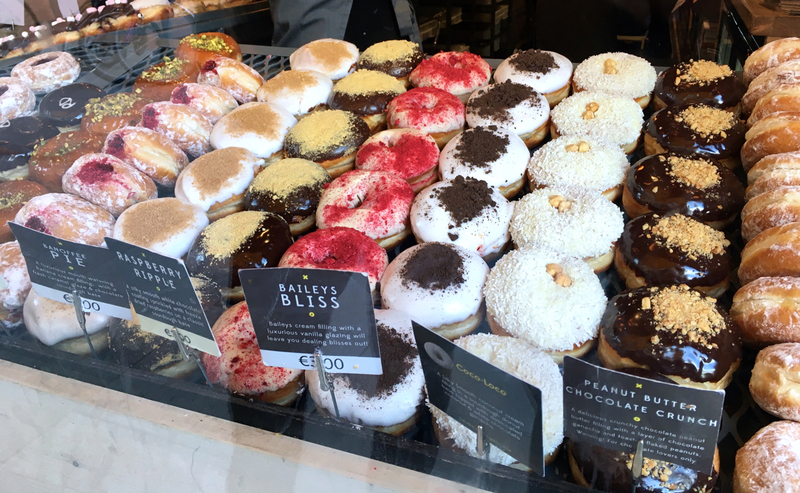 i really want to go to dublin at some point and the donuts look just incredible.